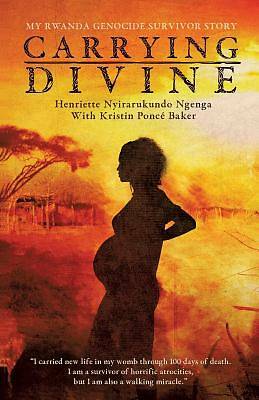 Carrying Divine: My Rwanda Genocide Survivor Story by Henriette Nyirarukundo Ngenga with Kristin Ponce Baker tells Henriette's autobiography as a young Tutsi mother struggling to survive during the Genocide in Rwanda while pregnant with her fifth child. As a startling account of Rwanda history, the author shares her own experience of her country's past. She starts her memoir with her idyllic childhood in the Land of a Thousand Hills with her large, happy family before the genocide; but soon, their own Hutu-led government and military turns against them. Henriette must endure the Rwandan Genocide as a Tutsi woman, and protect her family in the process. Witnessing her family's degradation and experiencing her own torture, she finds strength in God to continue fighting for her and her unborn daughter's lives. Carrying Divine: My Rwanda Genocide Survivor Story is powerful, inspirational, and educational in today's world past the twenty-year anniversary of this tragic holocaust.